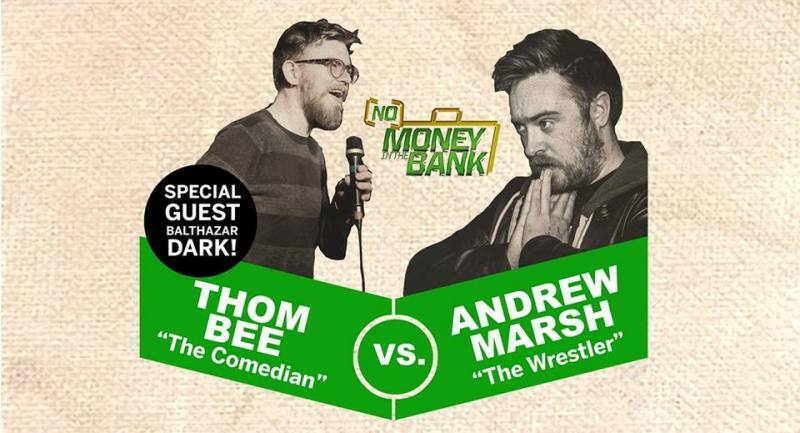 A new comedy show that draws influence from professional wrestling comes to Whole Latte Love in Stockton on Thursday 26th July as Thom Bee and Andrew Marsh showcase No Money In The Bank. The double act draw on their love of wrestling to be the first ever comedy tag-team, and utilise their skill to explain what wrestling is all about. There’s a special wrestling guest planned, alongside lots of gags, some enthralling stories, chairs to sit down on obviously and potentially ladders and tables if they stretch their budget well enough. For fans of wrestling and those new to sports entertainment, this an evening’s comedy unlike any other. Thom Bee and Andrew Marsh bring No Money In The Bank to Whole Latte Love, Stockton on Thursday 26th July.